Hello hello! It's been a while since I did "nails of the week".. Well I will be sharing what I had on my nails during the holidays. I changed my nails about 3-4x before Christmas and till New Years. Get ready for a picture heavy post! I can't remember if I shared these nails or not. Probably did.. but here is what I did for my 25th birthday back in October. I went to my aunt's house for thanksgiving with bare nails. Dinner wasn't ready and we had to wait for my dad and uncle to get to the house.. so I decided to paint my nails. My aunt's daughter had a "Color Club" neon set she bought from ross and the colors in the sets are unknown. Sorry! I love the pink though! So bright and they all have some sort of shimmer to them. The gold on my nails in the last photo was from painting some photo frames for my room. I like how it came out so I wore that for another week lol. 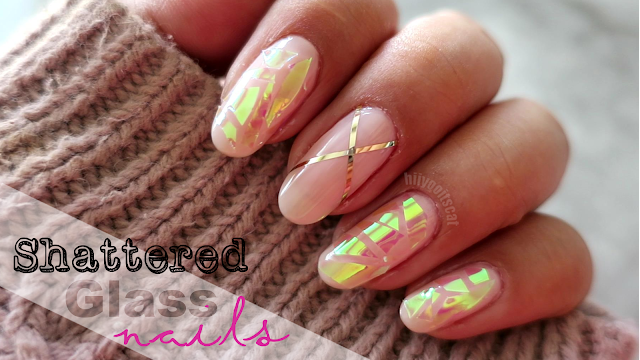 I shared this nail look in my most recent Julep post but here it is again! I wanted to wear a red polish for Christmas but nothing bright and use the Nailtini polish that came in my ipsy bag. So I used a deep burgundy red polish form a Color Club set (again from ross, so the color is unknown to me) and Nailtini in Millionaire on my accent finger. I wanted something festive and sparkly for NYE... and went with this silver and deep purple look. The deep purple and silver are Color Club, black base purple glitter is Revlon in Scandalous, and the white is China Glaze in White on White. 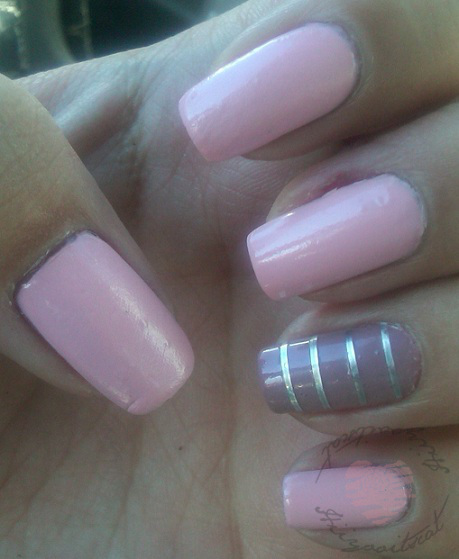 I also used my nail art tape I got from eBay in purple and silver. I decided to change my nails before NYE because I wanted to ring in the new year with something that was truly me.. and what else is me besides a creme light pastel color. I had to add a sparkly accent nail of course! 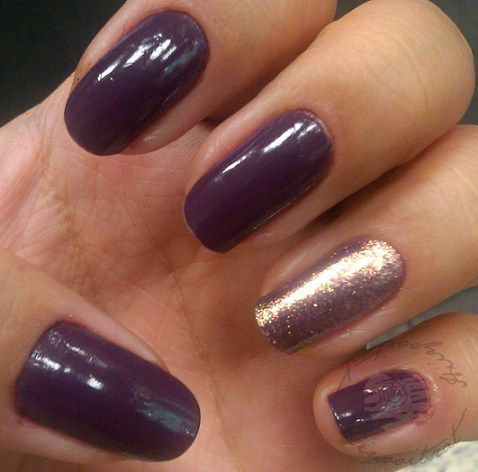 I am using Essie in Van D'go and the glitters are both by Color Club. Well there it is! I hope you guys enjoyed this post! 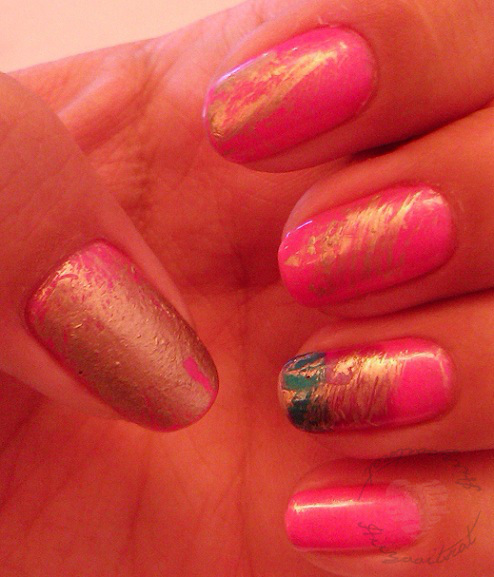 Most of my looks are quite simple.. been too lazy to do any nail art or stamping ><. 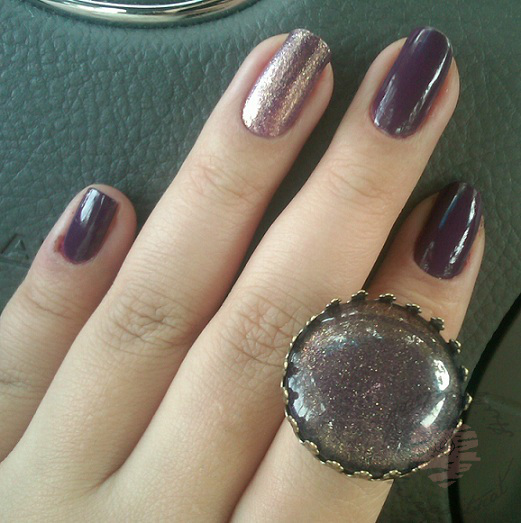 I really love the deep red and deep purple nail polish by color club. If you happen to find the set at Ross pick it up! They have beautiful colors! Note: the polishes in the sets are normally not exactly what the box says. Love all the manis! Did you make the nail polish ring or buy it?